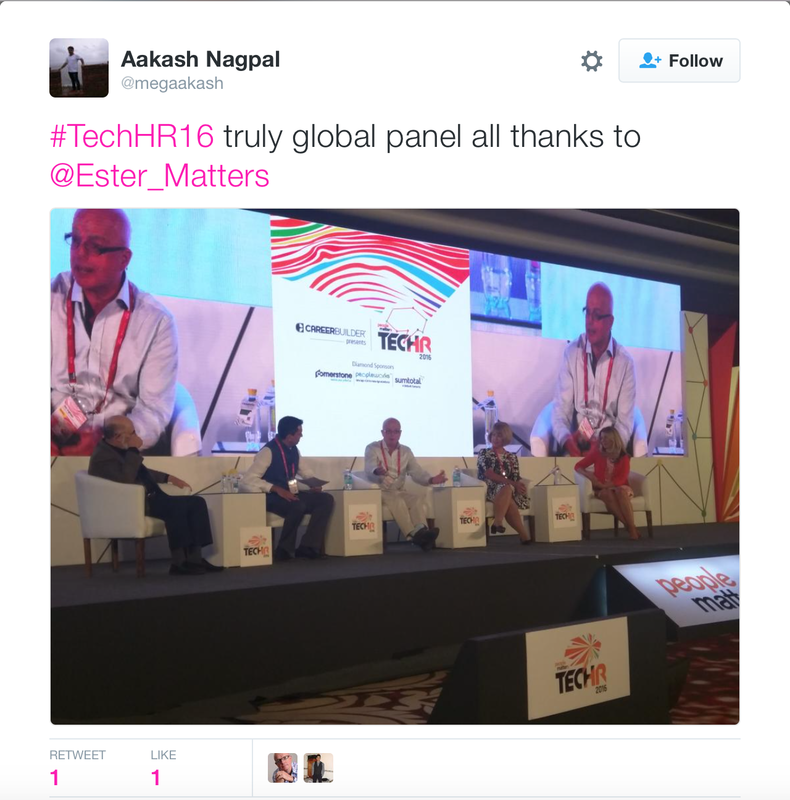 I'm in Gurgaon in India for People Matters' Tech HR conference. Gurgaon is the 'village of gurus' and People Matters has done a great job in assembling an amazing line up of speakers. Just from an international perspective we've heard from gurus Gerry Crispin, Josh Bersin, China Gorman, Jonathan Campbell, Steven Ehrlich and Laurie Ruettimann. And me. The local Indian speaker panel has been excellent as well - I'm only not listing them as they will be slightly less recognisable for most of my readers. I will note my regret in not seeing Gautam Ghosh who remains the greatest of Indian HR gurus as far as I'm concerned. I've been keynoting, huddling, unconferencing and panelling - in a panel with Gerry, China and Laurie, and chaired by Prashant Bhatnagar. And one of the questions (which I didn't get to answer) was why people in the audience (HR practitioners) should listen to us (none of whom work in HR). We may not be in HR but we talk to a lot of people who do - we try to summarise and generalise from their experience. Sometimes you need to be able to stand back to understand what needs to change. It's easier for HR practitioners to lose sight of the forest for the trees. We're only suggesting you may want to listen to us, we're not asking you to do what we say. For me, we want to talk with and listen to as many people as we can. It's then up to us to decide what we want to do about it. As I suggested in my keynote, all organisations are different, particularly when comparing across sectors, countries etc. Companies in India are very different from those in the US (I suggested their processes may be a bit more clunky but they are often underpinned by a much more progressive, humanistic approach). We also want to avoid being seduced by best practice or equally unhelpful ideas like the future of work (for example I still question whether many organisations will ever move away from hierarchical structures to Josh's networks of teams). The only way to square this circle is to be clear about what we want doc create in our people and organisation and then innovate our HR processes and activities to support this. That may look like some of the gurus' or speakers' ideas you've come across and it may not. All that we can offer as speakers is offer challenge and provocation. The rest is up to you.